Newcastle have got off to a slow start in the transfer window but we did the exact thing last summer too – much to Rafa’s annoyance. But we’re sure Rafa is pressuring the Newcastle hierarchy to bring in some new players soon – let’s hope Lee Charnley and his team can do that. Rafa wants Mike Ashley to fork out the money to buy Kenedy – he would be a terrific acquisition for us. And Mitrovic will lead the line today for Serbia against Costa Rica so let’s hope he scores. And general comments about how the press are making things up in the transfer market this summer. 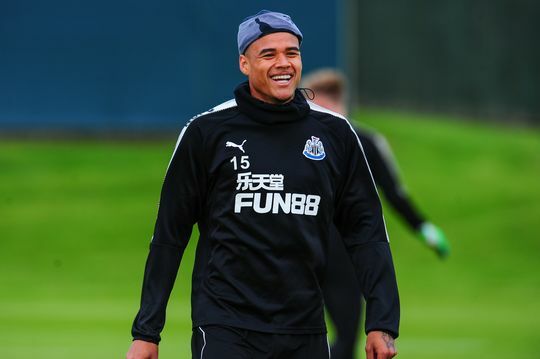 Kenedy in training at Benton – sign him up! Here are some comments from Geordie fans about whats on their minds and since it’s Father’s Day today let’s start with this one. My old man would’ve been bewildered by anyone going to see #NUFC play under the ownership of Mike Ashley. I think he’d have laughed at us. I genuinely think we’ll see some activity IN/OUT this week. The Sturaro link refuses to go away. We are first accredited with an interest a year ago in August 2017. Looks like we’ve been tracking him for some time. Any danger of some good news re #nufc this summer? €50m for Kramaric how good a #WorldCup do Hoffenheim think he’s going to have with Croatia like quoting that sort of price was nothing special watching the game last night also glad #NUFC didn’t fork out £20m on Jorgensen dodged a bullet with him. Great to see Lewis Ritson progressing into a world class boxer. He looks the real deal this lad and a true toon fan. Atmosphere was electric in the arena last night and Eddie Hearn reckons he’ll be able to put a show on and sell out SJP as he steps up to title fights. I had to chuckle as Josh Kelly who is a Mackem was diplomatically introduced as being from the north east as the arena was rammed with toon supporters. Both lads look like Champions in the making though. Last season we must have elvolved into one of the most spirited teams in the League. Lascalles clearly exemplified the determination that led us to 10th and the way that Dubrovka and Kenedy added to that team spirit was clear to see. Signing both of them for the future is a clear must. After that a significant striker and others that Rafa has targeted makes the squad worthy of a top six fight. I trust you’re poking fun at Ancient, posting with your tongue in cheek. If something’s political, something you happen to disagree with merits a rebuke or as Jail suggest, referral to Ed, then do it. I’m sorry but posting responses that could be lifted straight from the Daily Mailagraphexpress, ain’t the way to do it. You must realise that such comments are also offensive to many so if you’re keen to discourage politically driven comments, don’t post ’em yourself! Hibbett, thanks for the concern mate, but I’m fine. Just got a lot going on right now and can do without the bickering that close season brings. On transfers, unless I’m mistaken it was pretty much accepted that nothing would happen until the first PL payment went in, which is July 1st I think? So no need to panic. Any money raised from sales will be available though. As none has yet come in, that explains the lack of movement. It may be that deals are lined up waiting – or not. According to the Press Association both sides are relaxed. There’s no war between Ashley and Rafa, something Rafa has reiterated a few times. Again, it’s just wait and see. As for the links, I choose to ignore them. I don’t believe Rafa will advertise them, knowing how slow Penfold is, as it may alert others to our plans. On Mitro, I expect him to leave regardless of his WC performances. He allegedly failed to stick to a diet designed to get the beat out of him and doesn’t follow instructions. Rafa doesn’t accept that. I do agree he’s, better than what we, have but any disagreement between player and gaffer – there’s only one winner. Repost – Is it only me noticed how much the TV commentators have talked about Mitrovic yet not once mentioned his parent club? Or did I blink and miss it happen? Just had a very bizarre experience on the blog. I clicked onto what I thought was a recent thread and couldn’t understand why I was seeing comments from expatmag. Until I looked at the dates, it was a 2017 thread! Was a bit Twilight zone for a moment. Strange thing was that, the subject matter was such that it could easily have been a current thread which is why I didn’t cotton on straight away. As reported by the Mag. United’s coaching team member moves on. Long serving Chris Terpcou will be working for the Gunners under new manager Unai Emery. Former Newcastle goalkeeping coach Andy Woodman is at the Emirates currently, working with the goalkeepers under first team level (Under 18s and Under 23s). 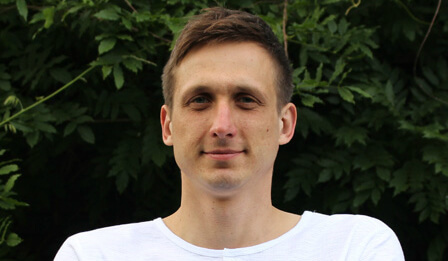 Chris Terpcou was working in a similar role at Newcastle United but will now be working alongside Woodman at Arsenal. Not much of a sniff for Mitro yet in this game unfortunately. Early doors of course, but his team mate M-Savic looks brighter for me.. If this World Cup follows the same way as all previous World Cups there will be very few transfers until the competition is over as managers want to see whether there are previously unspotted talents and whether there are known talents confirmed by their performances at the tournament. MikeAshleysWallet…..on Talksport today there was a small reference to Mitro being a Newcastle player when John Hartson referred to him being out of Rafa’s favour because he was a naughty boy early in his Toon appearances. Other than that, zilch. Mitro being a handful for Costa Rica to deal with. Kolorov scores on a beautiful free kick won by Mitrovic. Mitro looking good. So too their right winger. Already won something here for no goals first half. Other bets riding. Only one goal in the game, Serbia to win. On Mitrovic – I have to say I think he’s matured a lot over the last year – certainly he doesn’t seem to get involved in unnecessary squabbles with defenders and obviously the red cards. I certainly think he is worth a second chance – after all what is the point of going on loan if not to learn and improve your game. However we know Rafa is stubborn so there may be no way back for Mitro? Have to say, did a double take when the game kicked off….I thought Uriah Rennie had come out of retirement. Mitro half good as Lukaku! Now I have heard it all. I suppose colback is half as good as Kanye as well eh so should be pulling mega funds in this summer! Stefano Sturaro is reported to be available at £20 million and is interesting West Ham. We are believed to have offered £10 another one we couldn’t quite get over the line.